Tech giant Apple is expected to unveil a 13-inch MacBook Pro during an event on October 23, where it is likely to launch the new iPad mini. 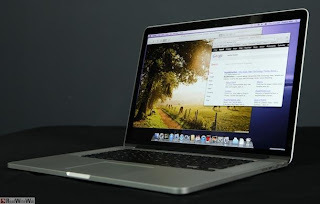 According to a report by 9to5Mac, the newMacBook will have a high-resolution Retina display. The device will reportedly inherit the thin and light enclosure from the 15-inch Retina model, and it will be sold in two configurations, alongside the standard 13-inch MacBook Pro, which was updated with faster processors in June, Mashable reports. According to the report, if true, the report confirms an earlier rumor, which claimed Apple plans to release a smaller Retina MacBook Pro before the end of the year.